Here at Shore, McKinley & Conger, LLP, we fight to represent the people of Stockton during their time of legal need. 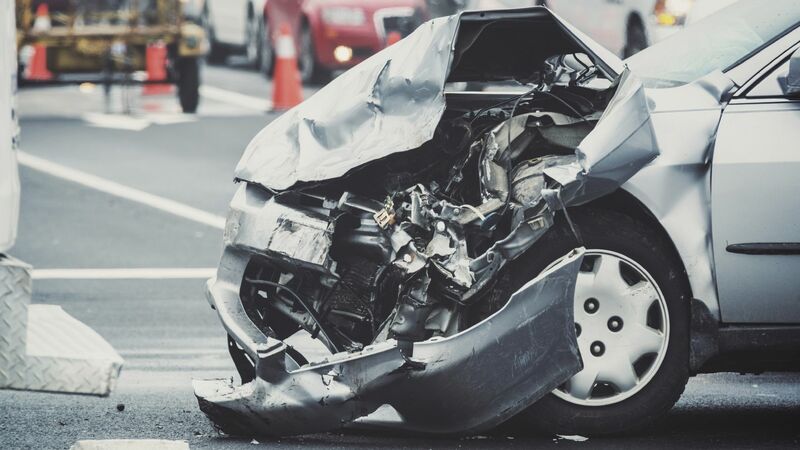 We know the toll that serious vehicle collisions can cause, which is why we offer skilled legal representation in auto accidents lawsuits that seeks to cover damage while holding negligent parties accountable. Speeding can be dangerous and is the cause of many tragic auto accidents. Let's take a moment to consider the dangers of this reckless practice and how you can stay safe. Speeding is a major cause of auto accidents. Whether on residential streets, city streets, highways, drivers who travel at an excessive speed are more likely to cause serious collisions and injure motorists, pedestrians, and others on the road. With excessive speed comes greater harm given how much force is generated by a vehicle traveling at a high rate of speed. The numbers tell a deadly story. According to National Highway Traffic Safety Administration (NHTSA) data, there were 9,262 fatalities in 2014 caused by speeding or speeding-related auto accidents. This account for 28% of all traffic fatalities that year. In 2013, there were 9,696 speeding-related fatalities, accounting for 29% of all traffic accident deaths. Looking over data on a year-by-year basis, speeding related auto accidents tend to cause about 30% of traffic fatalities each year. In addition, the same NHTSA numbers reveal that younger males are more likely to die in these speeding-related accidents. In 2014, 36% of the speeding fatalities involved males between the ages of 15 and 20; males between the ages of 21 and 24 accounted for 34%; and males between the ages of 25 and 34 made up 27%. By comparison, women between the ages of 15 and 20 comprised 20% of speeding fatalities, with woman's fatality numbers decreasing a few percentage points steadily from age group to age group. Given how common these issues are, it's important to note some common sense safety tips. Speed limits are there for a reason and should be followed. No matter where you're driving, be sure to abide by the traffic laws that are in place. They will keep you safe as well as others who may be on the road. When dealing with heavy traffic, poor weather, or bad road conditions, be sure to slow down to be as safe as possible. Reducing speed in unsafe situations can help keep everyone safe who is on or near the road. If you are on the road and someone is speeding, it's best to avoid getting in that person's way or trying to match their speed. If they are driving in an especially reckless manner, it's important that you try to remember the make make, model, and license plate of the car, find a safe place to pull over and park, and report the vehicle to the authorities. Since teenagers are inexperienced drivers and more likely to exhibit reckless behaviors, be sure to stress basic driver safety to your kids. This may seem like a chore to them, but it can save their lives and the lives of their friends. For more information about your legal rights and options after a serious auto accident, be sure to contact our team of personal injury lawyers today. The team at Shore, McKinley & Conger, LLP will work with you and help you in your time of legal need.